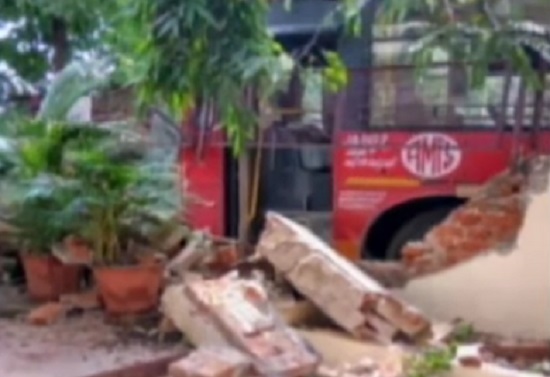 Today in Ahmedabad, AMTS bus enters into a house in Ambawadi area by breaking compound wall, leaving 2 children injured and hitting 8 others. Accidents by AMTS bus in Ahmedabad city are one rise. On Rakshabandhan day, speeding AMTS bus on Nehru Bridge end killed 2 persons on Ashram road. 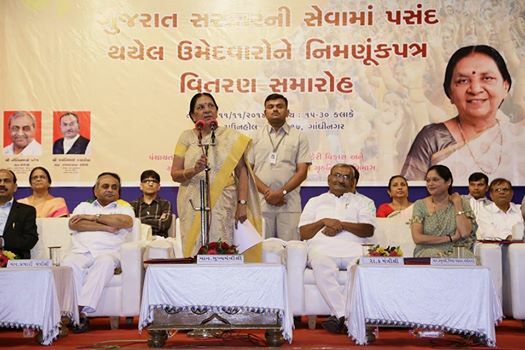 ANANDIBEN CM AWARDS OFFER LETTERS TO CANDIDATES OF GUJARAT STATE SERVICES Anandiben Patel Gujarat Chief Minister awards Offer Letters to candidates of Gujarat State Services. 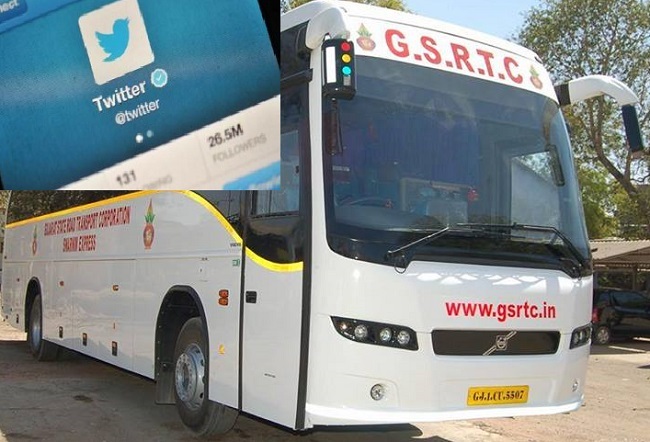 In Gandhinagar, total 931 selected candidates received letters from Gujarat CM including 292 female candidates.